Windows media Radio Station and Show Recorder. Jaksta Radio Recorder is the best program for recording windows media. Jaksta Radio Recorder is best described as an all in one Windows media Downloader, Windows media Recorder and Windows media Capture Tool for Radio. 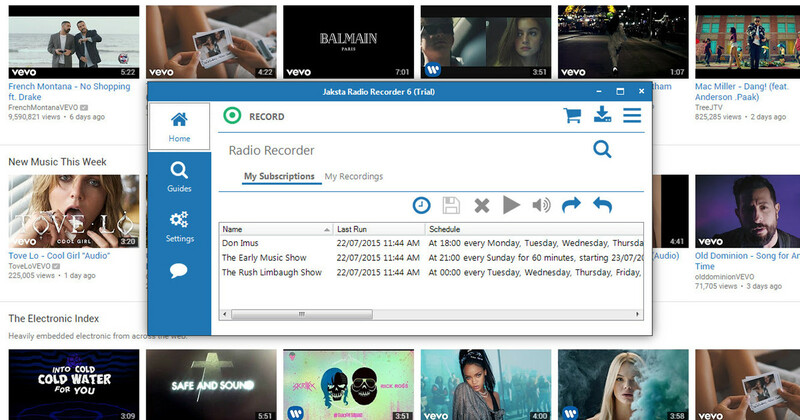 Once subscribed Jaksta Radio Recorder will automatically start and record the windows media station at the given time. Once a windows media recording is complete, double click the recording entry to listen to it. Supports windows media, SiriusXM, BBC, NPR, iHeart and more ..